No laying of control cables needed, just power connection. 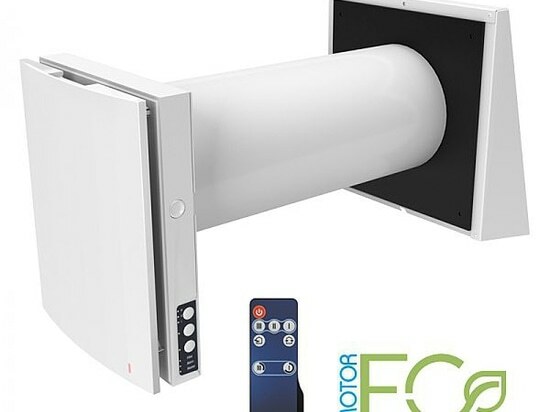 Arrangement of efficient energy-saving supply and exhaust single-room ventilation in flats, houses, cottages, social and commercial premises. 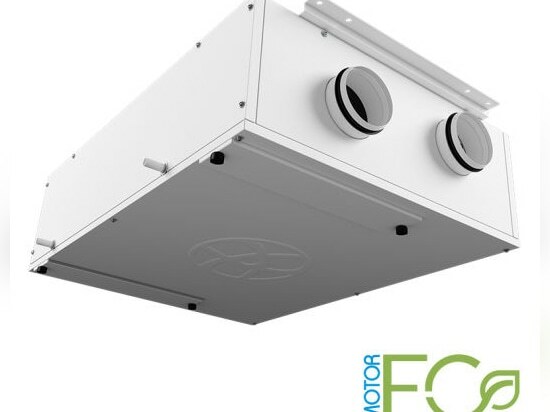 Reducing heat losses caused by ventilation due to heat recovery. 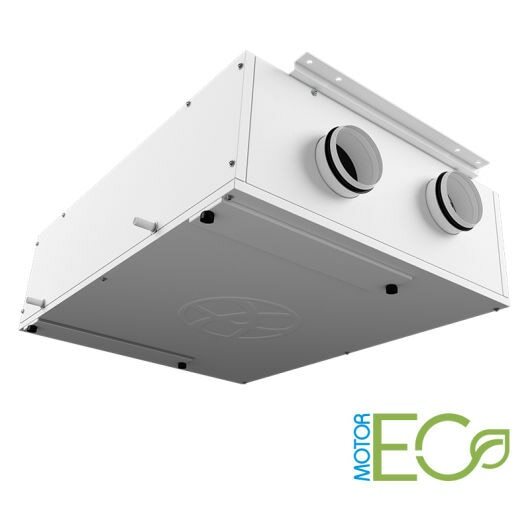 Humidity balance and regulated air exchange create individually controlled microclimate. 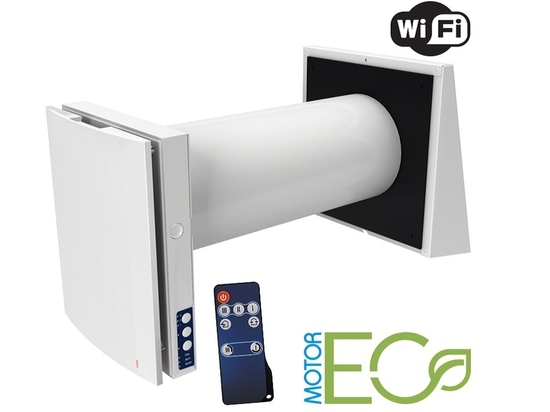 Coordinated network based on several integrated single-room ventilation units with central control. 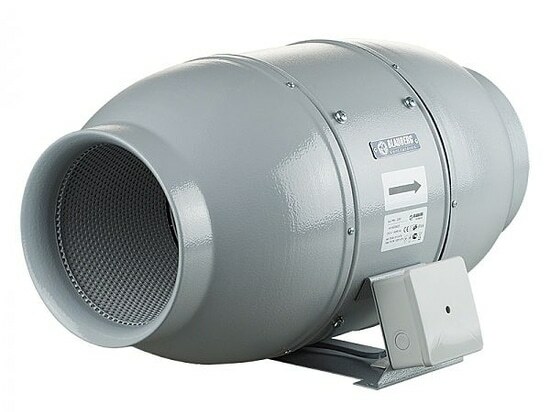 In discussions with our customers and fair visitors we recognized the need for an additional manufacturer for a sound-insulated inline mixed-flow fan.